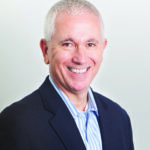 Bill Yaman, vice president of sales and business development for marketing technology firm Imprev, leads the company's expansion efforts for all client channels, working directly with major franchises, broker-owners, real estate marketplace providers, enterprise solution suppliers, and MLS organizations. He also oversees the company’s sales initiatives to individual agents and teams. Before joining Imprev, Yaman served as senior vice president of sales and marketing at GoAhead Software Inc., which was acquired by Oracle in 2011. He grew up in an IBM family and began his career at IBM after earning a Bachelor of Science in engineering and business management from Princeton University.